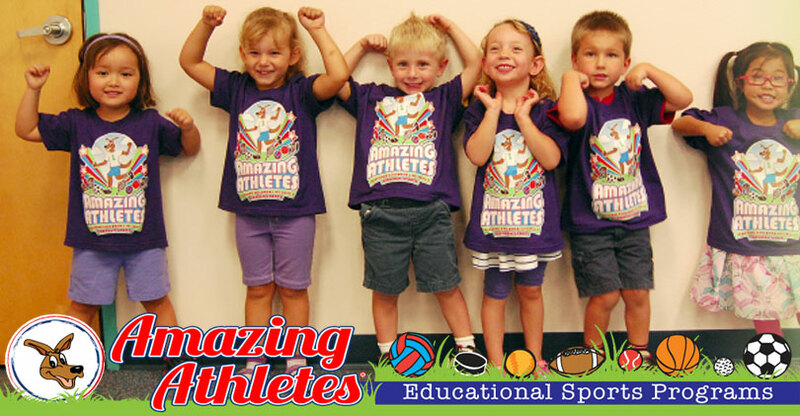 Amazing Athletes is a sports-based fitness program specifically designed to teach children the basic fundamentals and mechanics of 9 different sports while also helping them to master 7 key areas of motor-development. Unlike other programs, Amazing Athletes is not guided free play. 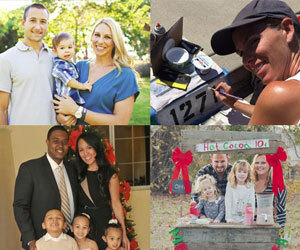 All of our programs use a custom year-round curriculum that is uniquely designed with specific goals in mind. We are very aware of the developmental skills children need to be learning at each age, and we make sure that every child is actively engaged and on target to on reach those milestones. No other children’s sport and fitness program is better able to utilize the movements of sports in a way that helps children to meet, master, and exceed their motor development milestones. Also, since all of our classes are taught in a group setting we are able to incorporate lessons in sportsmanship, teamwork, and self-confidence. Most importantly, we teach each child at his or her own pace. By allowing children to build their skills at their own comfort level, they become accustomed to sports and fitness in a natural way that will benefit them throughout adolescence and stick with them into adulthood.